A Religieuse simply means "Nun" in French. 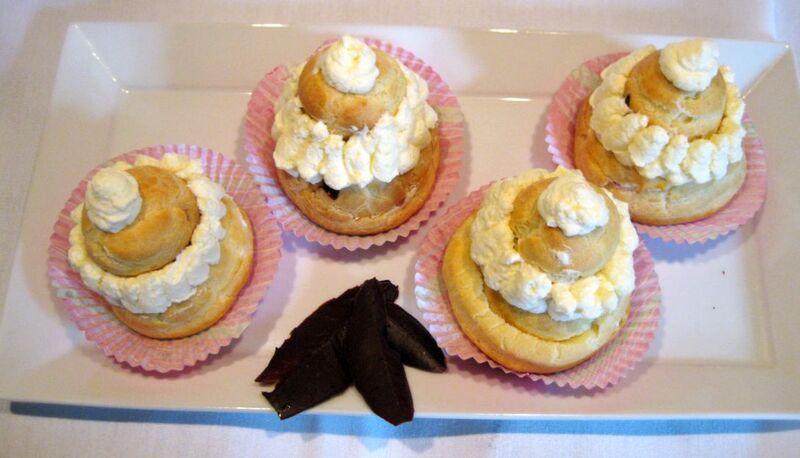 The Religieuse was created in the mid-19th century, and comprises of two round choux pastry cases. One large at the bottom and one smaller one on top. The filling is usually a butter cream or Chantilly (whipped cream) topping. It was told that the Religieuse supposed to be a reminiscent of a nun’s wimple which is a cloth covering worn over the head and around the neck and chin. 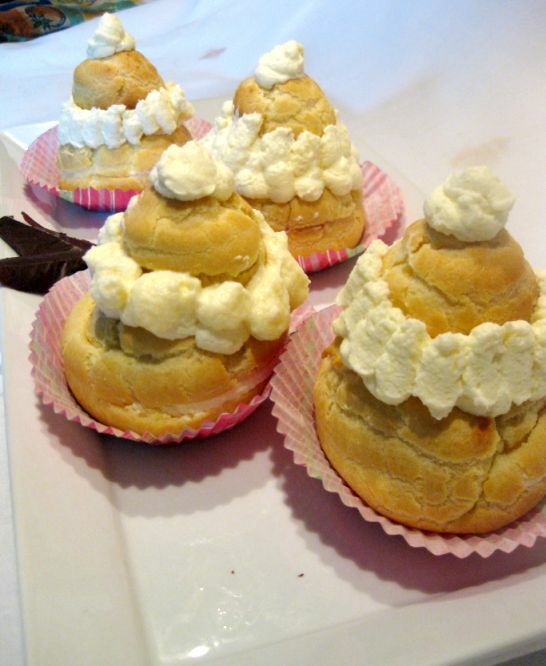 The dough of the Religieuse is a pâte à choux which is used for profiteroles, and the Éclair. Close look at the Religieuse. 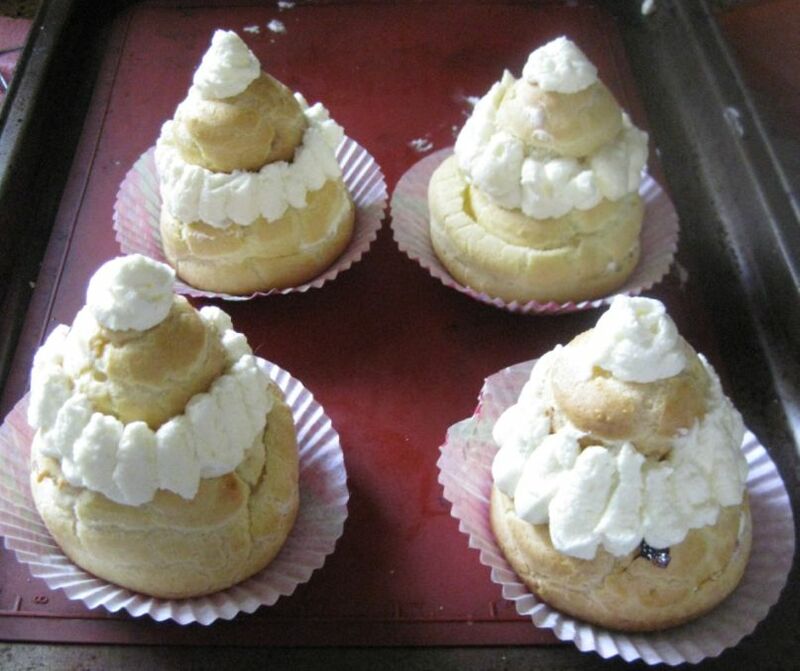 The religieuse can last a few days in the refrigerator! 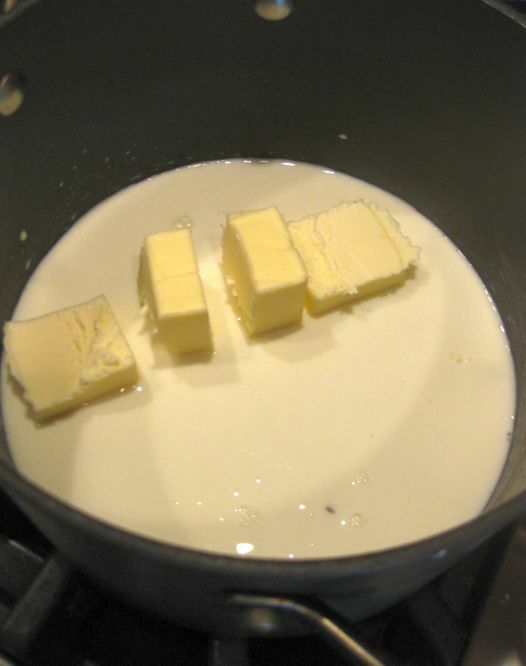 In a small saucepan, combine the milk, butter, salt, and sugar over medium heat. 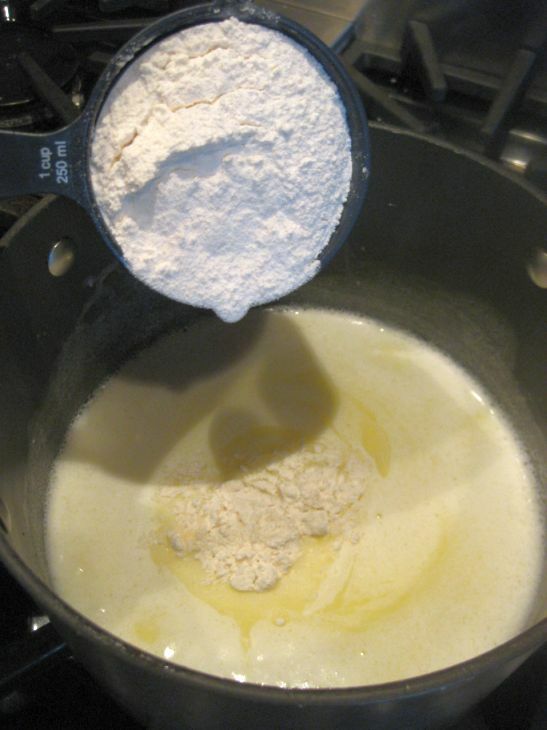 When the butter is melted and the mixture reached a boil, remove the pan from the heat and add the flour all at once. 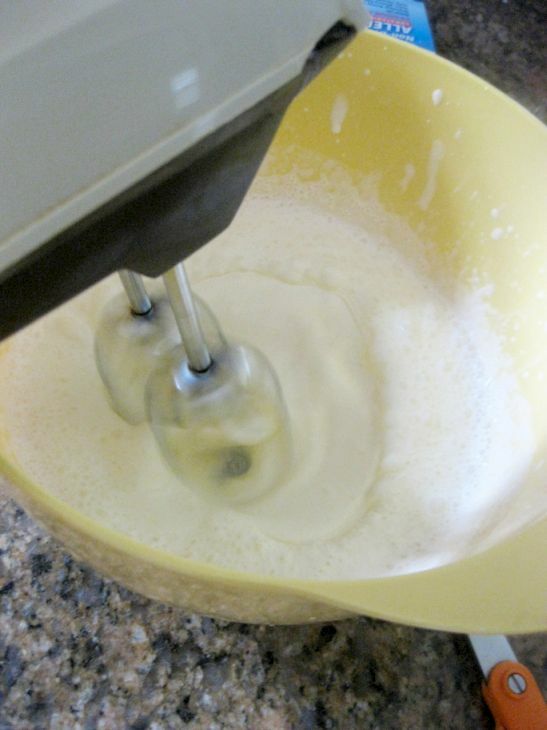 Mix with a wire whisk until the flour is incorporated, about 30 seconds. Transfer the batter to bowl. 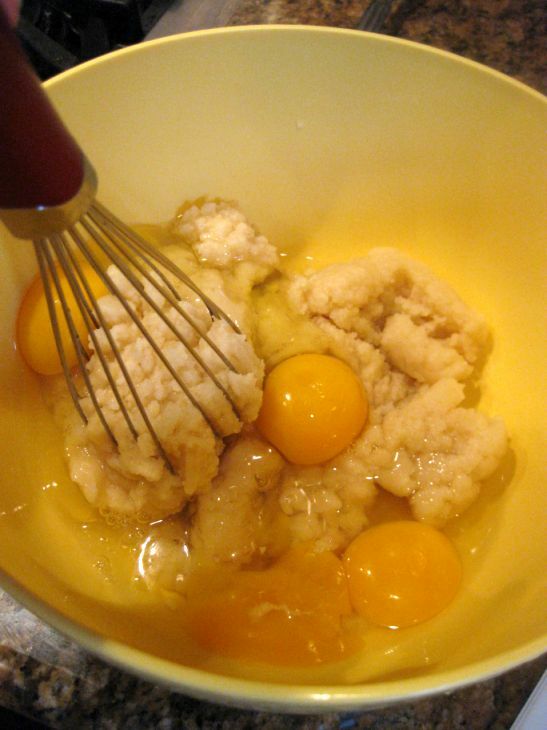 Add the eggs whisking well. 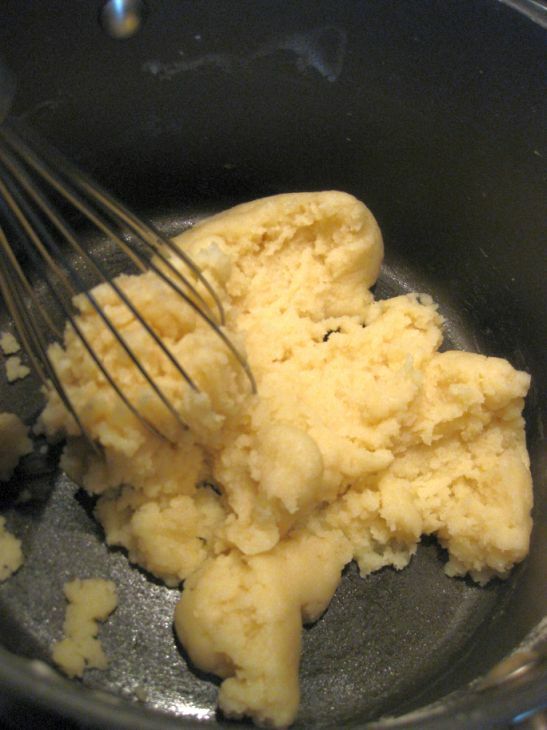 At this point the batter is ready to use in your recipe. 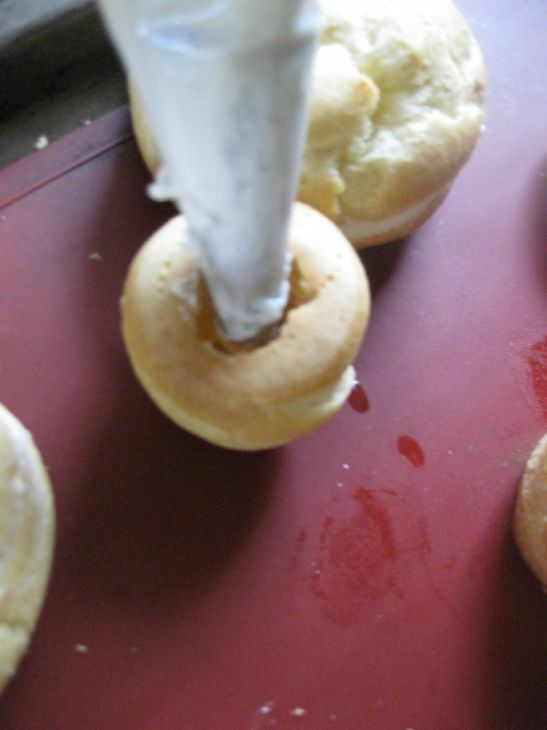 Put the batter in a pastry bag with a 3/4 tip . Pipe 4 large circles and 4 much smaller circles (about 1/3 smaller). Preheat the oven at 350 degrees. 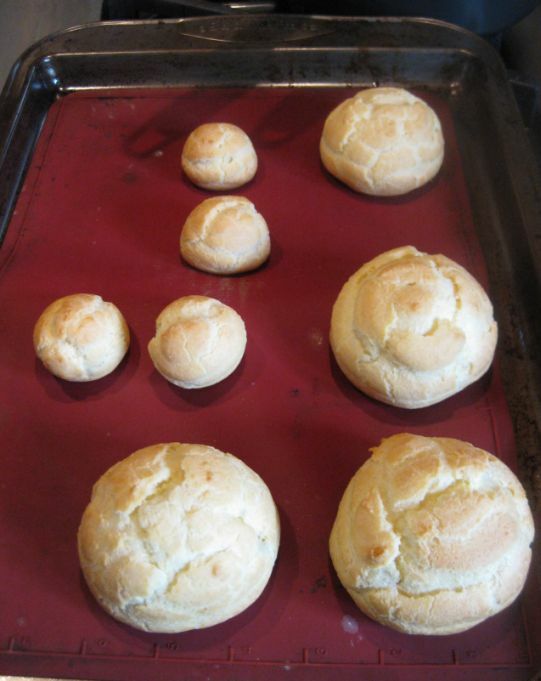 Put the tray in the oven and bake for 25 minutes or the top of the choux are golden brown. Remove the choux and let them cool down. 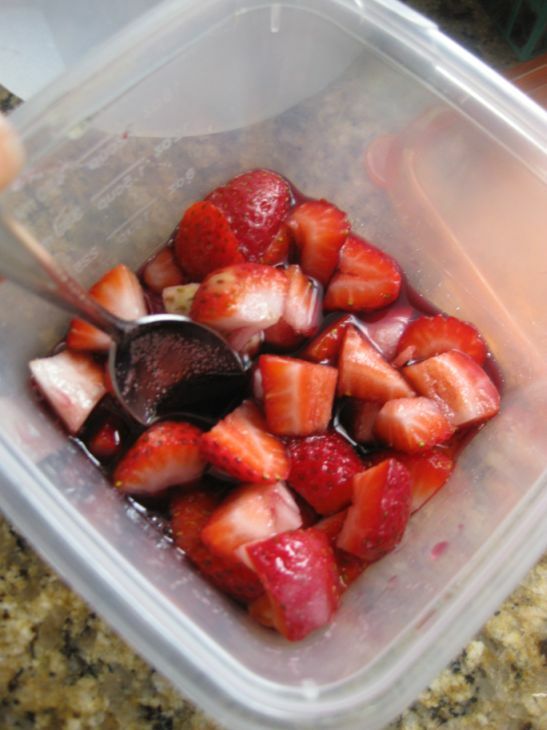 Cut a bunch of strawberries in small pieces and marinate them with sugar and red wine. Let them marinate for a least 20 minutes or overnight. Pour the cold heavy cream in a bowl and add a tablespoon of sugar. Whip until stiff peak. 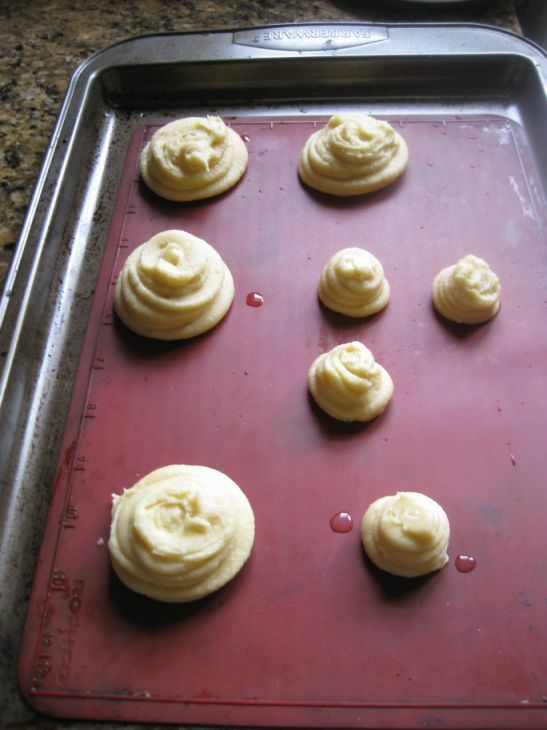 Fill the whipped into a pastry bag with a 2/4 tip for piping. 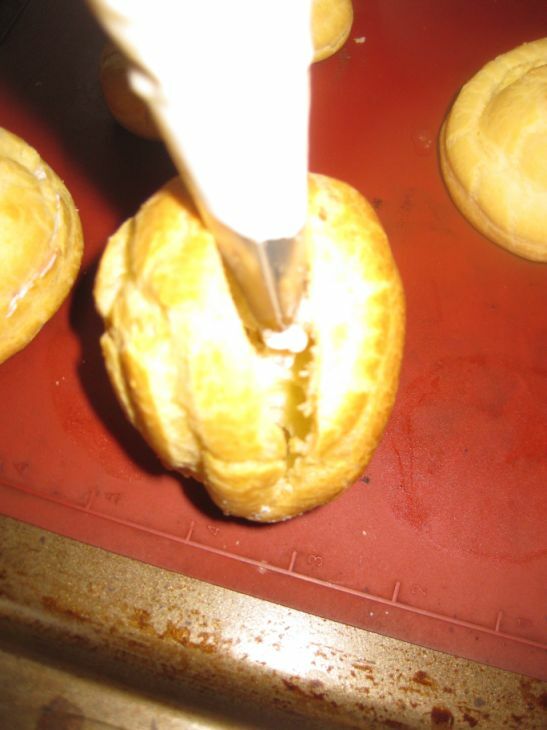 Cut about 2/3 of the large choux and pipe in the whipped cream. Add a few marinated strawberries inside the choux on top of the whipped cream. 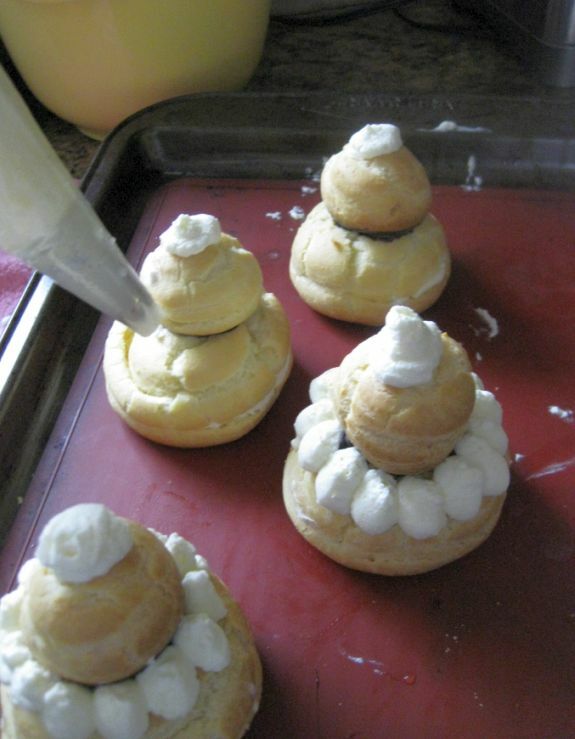 Make a hole and pipe in the whipped cream in the smaller choux. 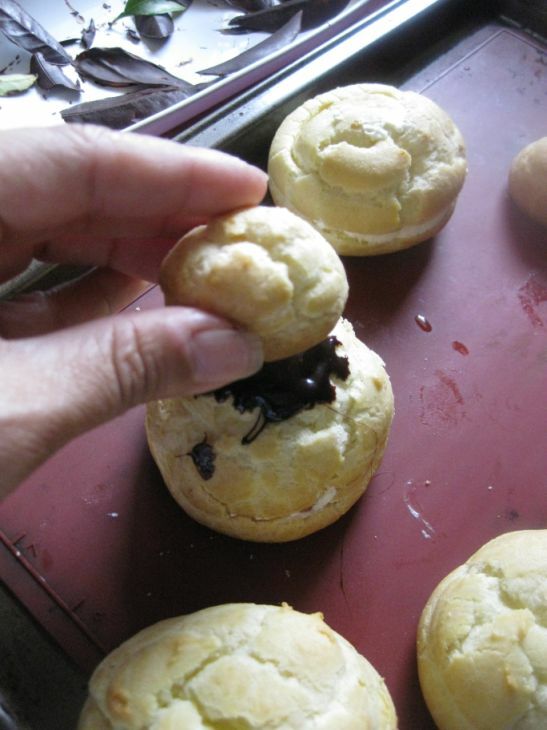 I happened to have a bit of melted chocolate so I used as a glue between the big and small choux. 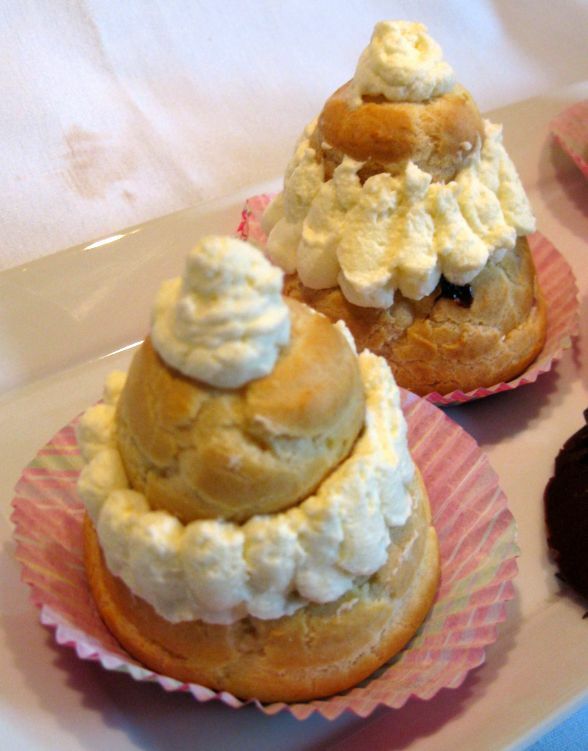 Pipe some whipped cream on the side and on the top of each Religieuse. Refrigerate them and allow them to sit at room temperature for about 15 minutes before serving.